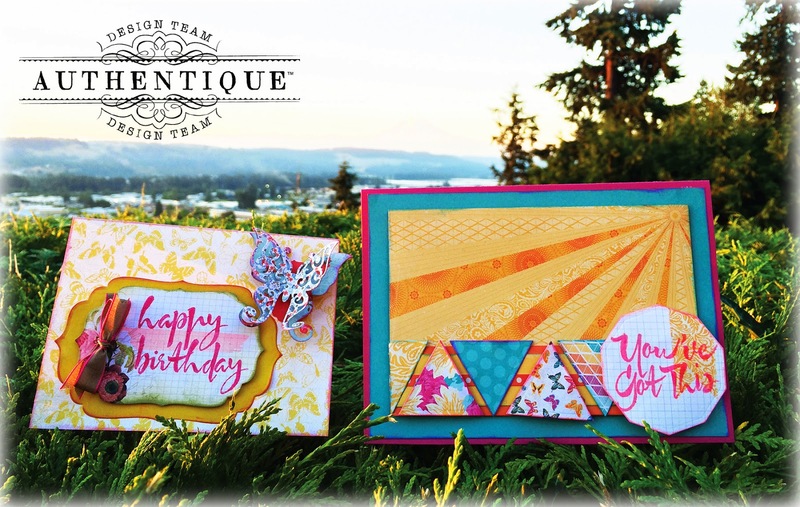 Fun Friday with Authentique Paper & Avery Elle! 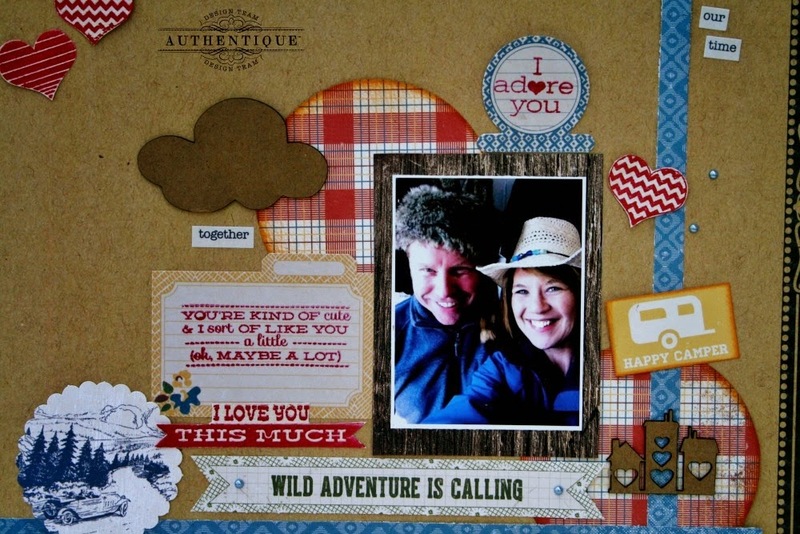 I created this layout with one of my favorite pics of me and my sweetheart on a recent trip. For the kraft background, I used a sheet of paper from the Authentique "Accomplished" collection. I wanted a fun, whimsical design with lots to say. My sweetie says I talk A LOT, so this layout makes me giggle with all of the stamping and journaling stickers/diecuts. I used circles and strips of patterned paper to center my photo. 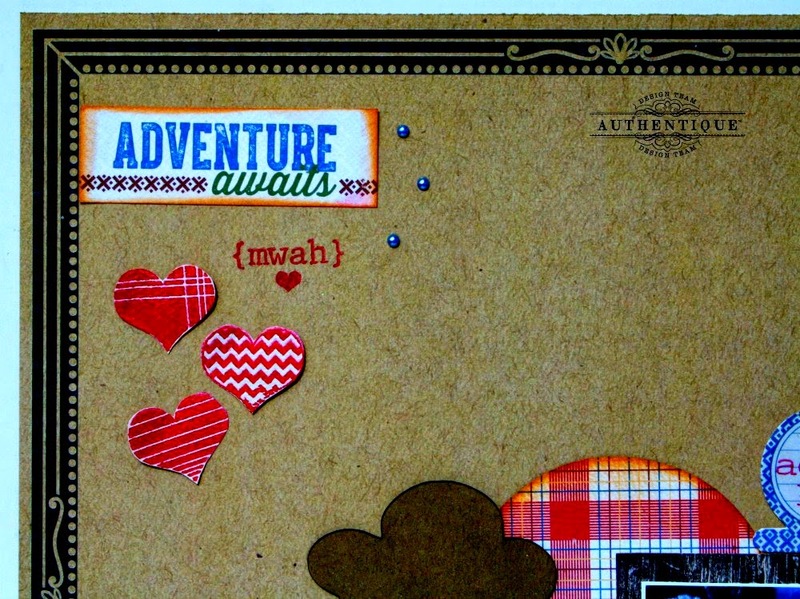 Lots of great Avery Elle stamps are used with bright red ink. I stamped lots of those great patterned hearts and adhered with dimensional adhesive. I decided to keep the chipboard cloud and houses by Want2Scrap blank to add dimension but not compete with the patterned paper and stamping for color. 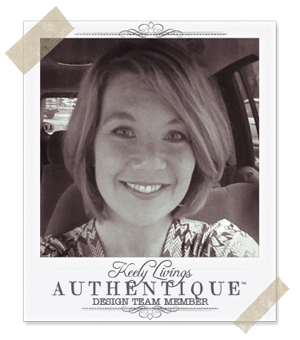 Are you stamping on your projects? Create the most fun and unique accents by adding stamping to your creations. 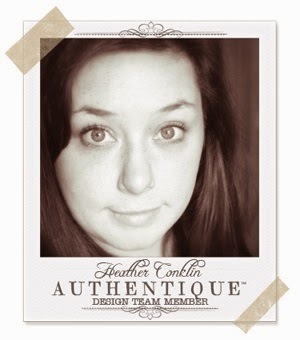 I was really excited when I found out that the Authentique Design Team was going to get to play with Avery Elle stamps this week. I have been having fun with the stamps, and was excited to try out some paper piecing with the Cupcakes Photopolymer Stamps and the bright Radiant Collection. I started with the cupcake for this card. I really wanted to showcase the fun little additions that you get to choose. On this card, I chose to add the sprinkles and the candle. The cupcake itself has two variations on the wrapper, and three toppings to choose from. Each card can be unique! For the candle, I stamped on the orange side of Beaming and on the multicolored side of Sprightly. I cut out each version of the candle, but cut off the flame on the multicolored version. Then I adhered the two together and added a little more color with my alcohol markers to make the stripes stand out more. I adhered this to the cupcake which I had stamped on two sections. The frosting was stamped on Beaming, and the base was stamped onto Sprightly. I stamped the sprinkles in two colors, then added the candle. I then cut each piece out and used some dimensional adhesive to pop the cupcake up. The banner was pieced together using a piece of cardstock that was layered onto a similarly shaped piece of Foundation Two. I placed that under the cupcake and furled up the ends just a bit to add more interest. Then I faux stitched the Foundations paper then added some sequins for a bit of sparkle. Hope you enjoyed this sweet birthday card. I loved using the Avery Elle stamps and cannot wait to make more fun variations of each of the cupcakes. Summer is here in full swing, which means that I naturally want to be outside and enjoy all the sun that I can! For that reason, I wanted to share with you a couple of quick card ideas with a couple of paper collections from Authentique that have that summer feel to them. 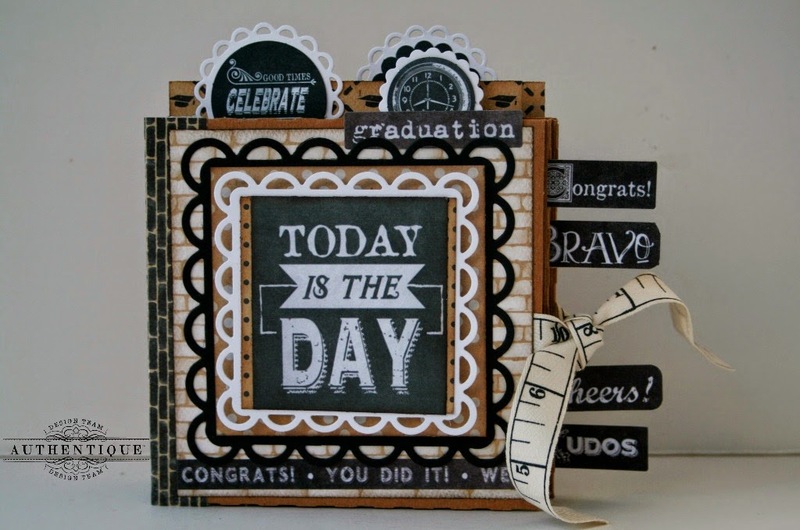 And what card wouldn't be complete with some great sentiment stamps from Avery Elle?!? This "Happy Birthday" card uses the Harmony paper collection, with some summer themed prints in natural hues. I'm all about saving time to get outside, which is why the Harmony card making stack is a must for making quick cards! I chose for the card base the "Awakening" butterfly pattern. The "Happy Birthday" sentiment is stamped on one of the "Life Cards" which are perfect for card making and collage, especially since I don't partake in the "Project Life" craze LOL This was layered on a solid piece of olive "Foundation Two" paper. 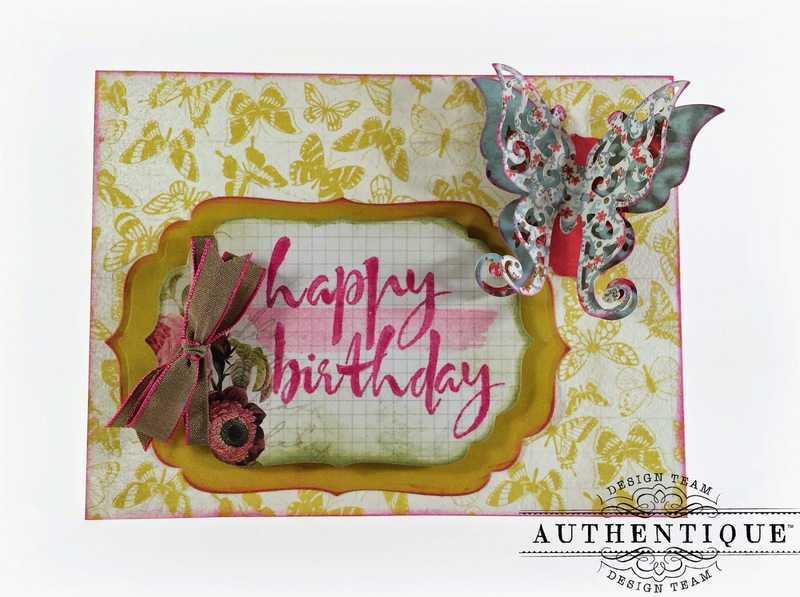 The butterfly was die cut using the "Vitality" and "Beauty" papers from the 6 x 6 Harmony bundle. I love using the bundles because they feature the same great prints found on the 12 x 12 sized paper but the pattern is smaller which makes it perfect for cards. 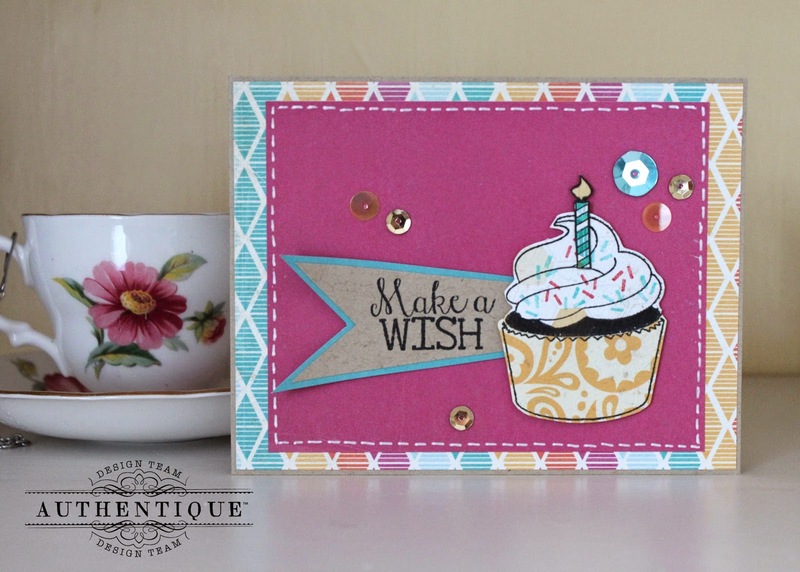 To brighten things up a bit, I used the Radiant collection for this fun card. The card base and basic layer is from the "Foundation One" and "Foundation Two" papers. The printed paper I used for the background was the "Beaming" paper with it's fun sun rays. The triangles feature different prints from the 6 x 6 Bundle which I edged with Electric Neon inks. 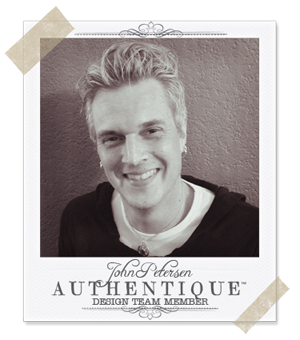 The sentiment is stamped on one of the Life Cards and then die cut down to shape. Seriously, quick and easy card to create and I actually made a few of these up in no time at all and left the sentiment panels blank so I could switch out the sentiment for any occasion. Hope this has given you some ideas for saving time to create awesome cards this summer! Wonderful projects. This has been a great week of inspiration!!! I love the "cork board" look of the first layout. The cupcake looks delicious. the cards are bright and sunny - wonderful for a great summer. thanks for having the hop. It's been fun and inspirational. There is a WORLD of WOW in the projects today - LOVE the layout and cards - each one is a DELIGHT in its own way!!! 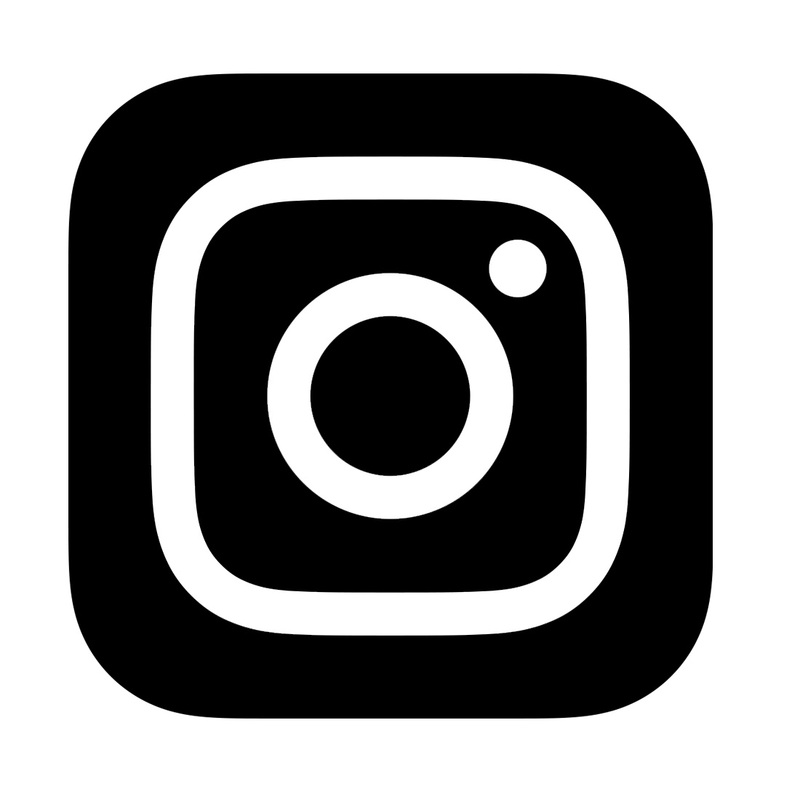 THANK YOU for sharing a week of INSPIRING CREATIVE AWESOMENESS!!! Marvelous projects...these folks really know how to mix patterns beautifully. So many great projects today! 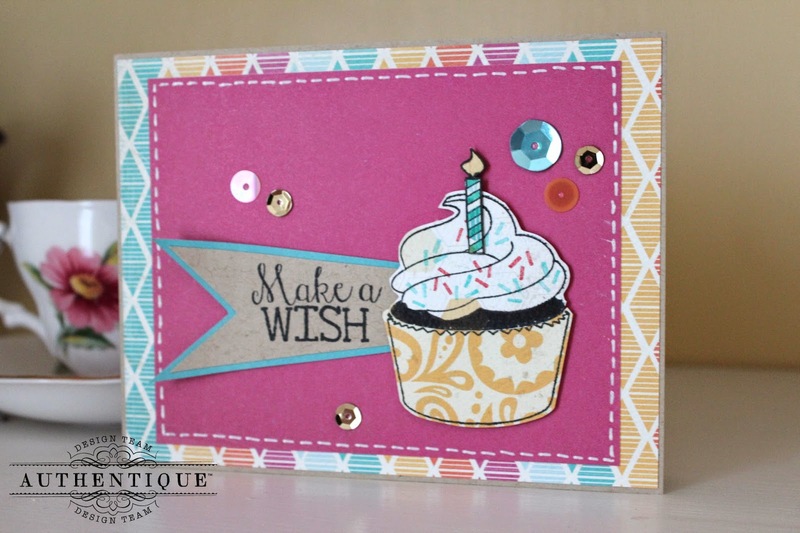 I always love seeing a fun cupcake card! Absolutely love all these gorgeous projects. It has been a wonderful week of inspiration. Thanks for sharing great ideas!!!! So many gorgeous projects! I love them all! 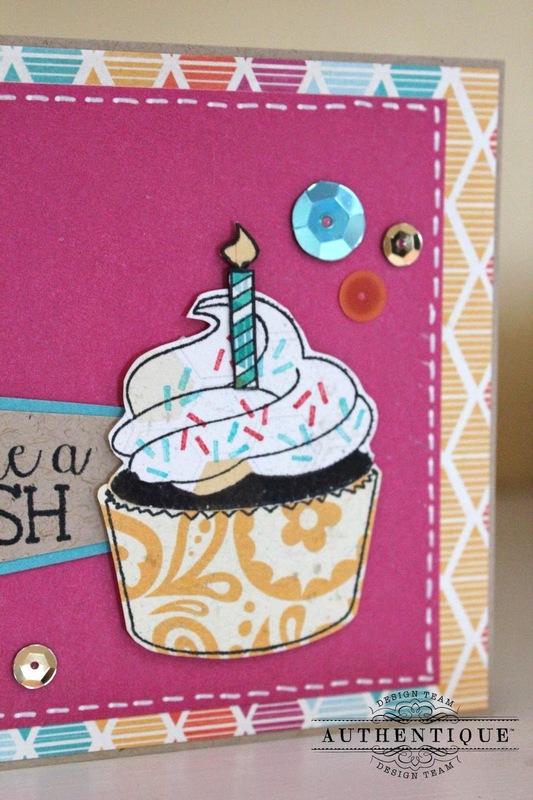 Love the paper pieced cupcake -- so adorable! Such fun and pretty projects! Thanks for sharing! Wonderful! I love these projects and collections! 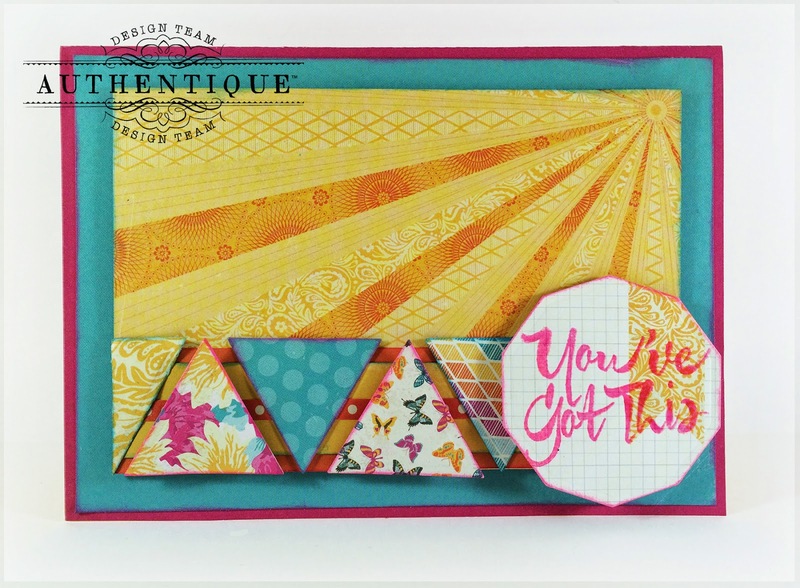 Great projects...love the use of paper piecing and the wonderful varied designs and layouts. 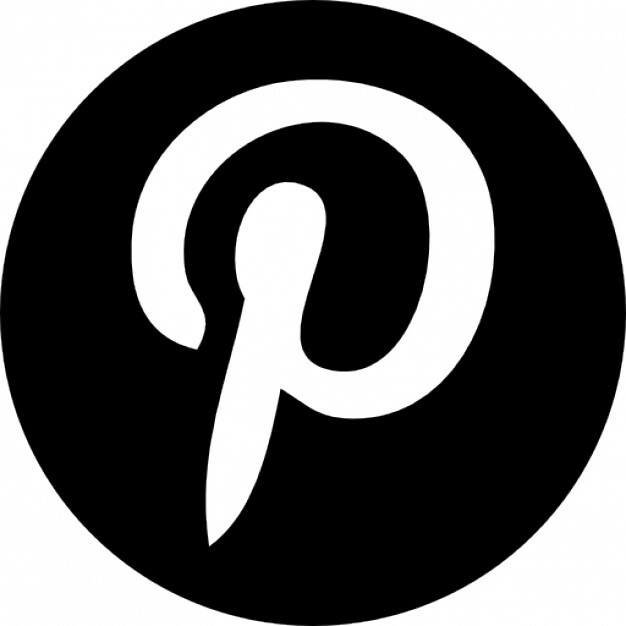 Great projects using these product collections. 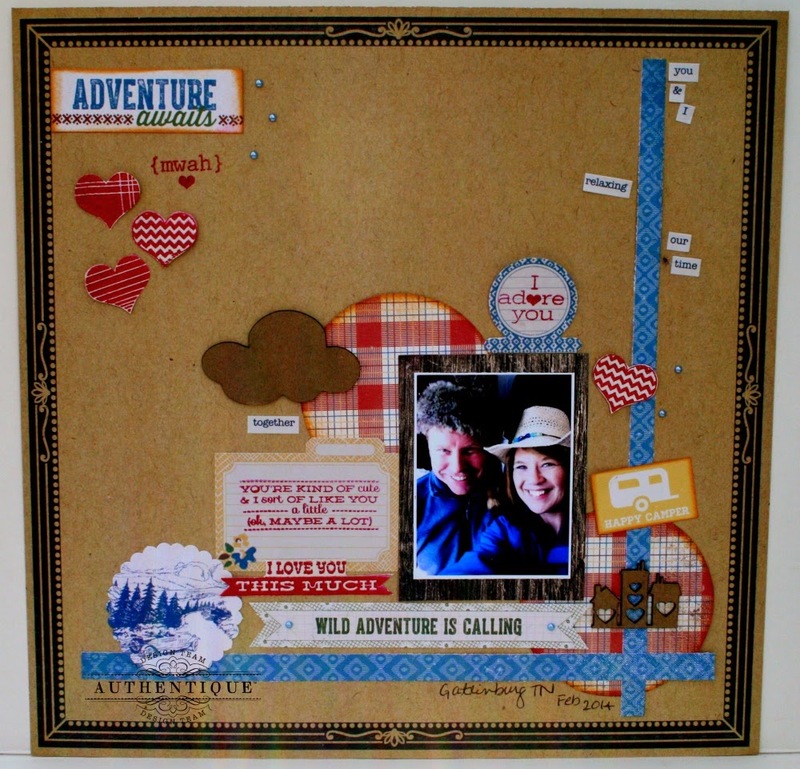 I love the scrapbook page layout. The butterflies are just gorgeous. 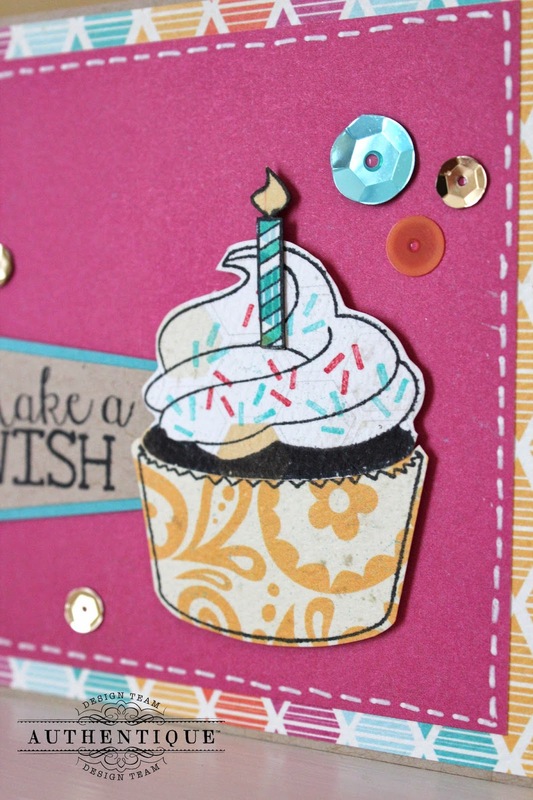 The cupcake card with the sequins is great for any birthday. very awesome projects!!! very cool, love the colors. Wow, what amazing projects! I love all of the gorgeous colors and textures! Great projects! I like all the "talking" on the layout. Beautiful layout and cards! I love the embellishments. Fun layout and cards. I just got the Avery Elle cupcake stamp and you have inspired me. I love Authentique papers...excellent weight and feel. WOW you guys these are AMAZING. Thanks so much for sharing your layout and cards. Awesome layouts and cards. Thanks for sharing. Great layout and cards! 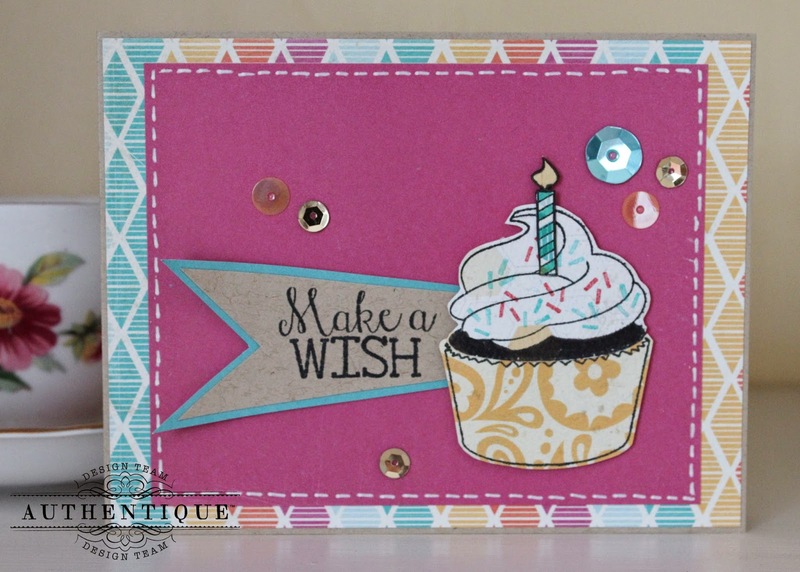 I really love the paper pieced cupcake! All 4 designers did a fabulous job! Love the layout especially! Wow! 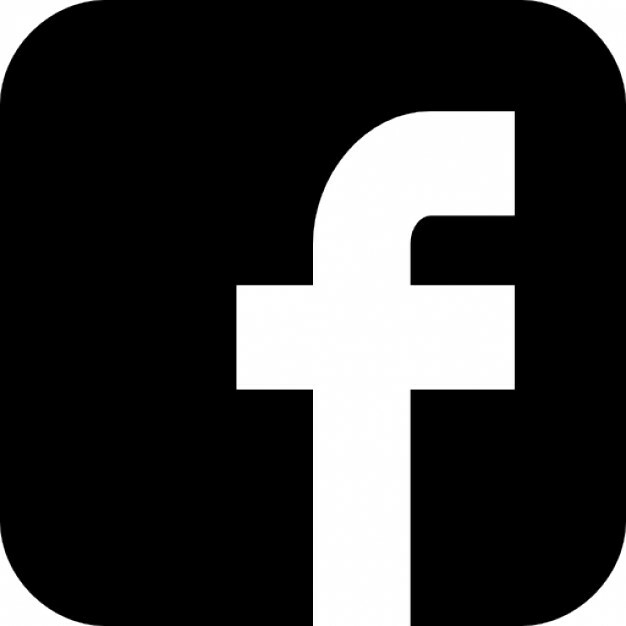 They are great projects from your team! Wonderful cards and I love that scrapbook page. It looks like a bulletin board. So cute.